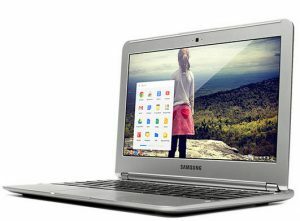 Google’s Chromebooks now account for 49 percent of U.S. computer shipments to schools in grades kindergarten through 12, according to a recent report from Futuresource. Chromebooks use the Google Chrome operating system. Unlike other systems it exists on the web, and whenever you boot up your Chromebook computer, the home web site fixes any problems. So it stays clean and fast no matter how long you own it. Dell is the largest supplier. Nearly everything you do takes place online, which makes it ideal as a second computer, or for anyone who uses a computer just to check email and surf the web. Every time you turn on a Chromebook, you sign in to your Google account, (sign up for one for free if you don’t already have one). When you’re finished with it, you sign out and someone else can sign in. They’ll see their own icons and have personalized pages. Prices start at around $170.